← I'll be home for Christmas! On Friday afternoon, I heard an expert on the psychology of mass murderers like Adam Lanza interviewed on the Mark Levin radio show. John Lot said shooters like Lanza are bent on committing suicide. What distinguishes them from other suicides is their grandiosity — they want to go out in a blaze, taking as many innocent lives with them as they can, because they want to make a name for themselves, albeit in the most perverse way. But their names will be emblazoned in the media and in our consciousness nevertheless. We need to stop finding excuses — Lanza had Asperger Syndrome! — to minimize their deeds. We need to call these mass murderers what they are: EVIL. But sure enough, evil men like Adam Lanza do succeed in their malignant quest for publicity. What these evil men do is so unthinkably horrible, we can’t help but want to find out who they are. Who is Adam Lanza? Why did he kill 26 innocent lives in Sandy Hook Elementary School, including 20 first-grade little children whose lives had barely begun? What rage can possibly account for him shooting all his victims execution-style and shooting each precious 6-year-old child ELEVEN times? The way we can thwart these evil bastards from the publicity they seek is to focus on the Good and the Light. 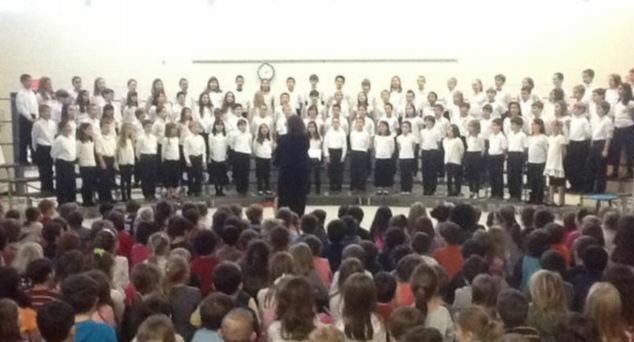 Here are examples of the Good and the Light, in the midst of great evil that terrible day in Newtown, Connecticut. 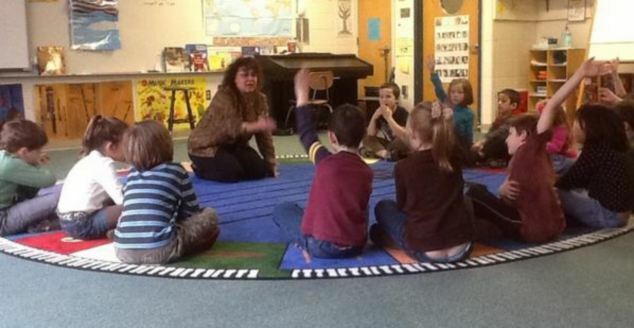 Daniel Bates reports for the Daily Mail, Dec. 14, 2012, that during the shooting at Sandy Hook, music teacher Maryrose Kristopik had the presence of mind to gather her students, ages 8-10, into a closet. She kept the children quiet by praying with them and assuring them “I love you,” and so saved 20 precious lives. In an exclusive interview with MailOnline, Kristopik said she barricaded herself into a closet with her students while killer Adam Lanza battered on the door screaming: “Let me in! Let me in!” Only when the shots, which had been ringing out, had died down did she lead her students outside to safety. Kristopik said there were 20 kids in the closet and there wasn’t enough space for them. One door had several instruments, including big xylophones, blocking it. But Kristopik stood in front of the other door and held the handle to keep the children out of harm’s way. Maryrose Kristopik rightly is hailed a “hero” by parents. There were other heroes at Sandy Hook. One of them is the school’s principal Dawn Hochsprung, who reportedly tried to shield students from Lanza with her body before she was gunned down. Another hero teacher was Kaitlin Roig, who barricaded her first grade students in the classroom’s bathroom and locked the door when she first heard gunshots. Melissa Makris’s 10-year-old son, Philip, was in the school gym and “heard a lot of loud noises and then screaming.” His gym teachers immediately gathered the children and kept them safe in a corner. The students stayed huddled until police came in the gym and helped them get out of the building, telling the kids to run. God bless all these wonderful teachers — candles in the darkness — who, as Hell broke loose and unleashed its demons, had the courage and presence of mind to secure the safety of their little charges. This entry was posted in Children, crime, Education, Evil, God's creation, Media, United States and tagged Adam Lanza, Dawn Hochsprung, Heroes, Newtown CT. Bookmark the permalink. syndrome is evil per se? i have a nephew who has autism and Asperger syndrome. Does that mean he is evil? Does that mean he is really a mental case. I need to be enlightened. They say autistic children are special, now they are to be treated like devils after all? Rereading the accounts is so difficult. I am reading them though it is painful because I would like to make sense out of the horror. As a former teacher I can only say, there but for the Grace of God, go I. We practiced fire drills, bomb threats and intruders but one always hopes that they are skills one will never need. I have never found children with Asperger’s syndrome to be violent. I think the greater question would be what medications was he using and what side effects are prevalent in his dosage level?